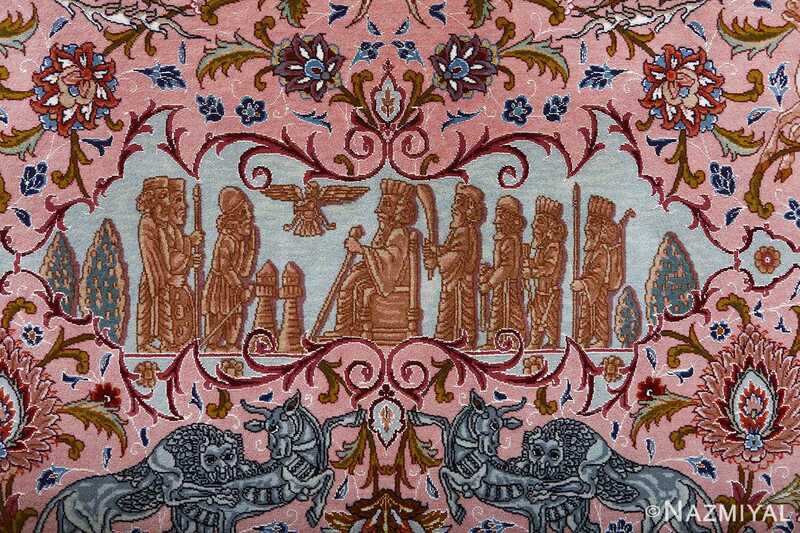 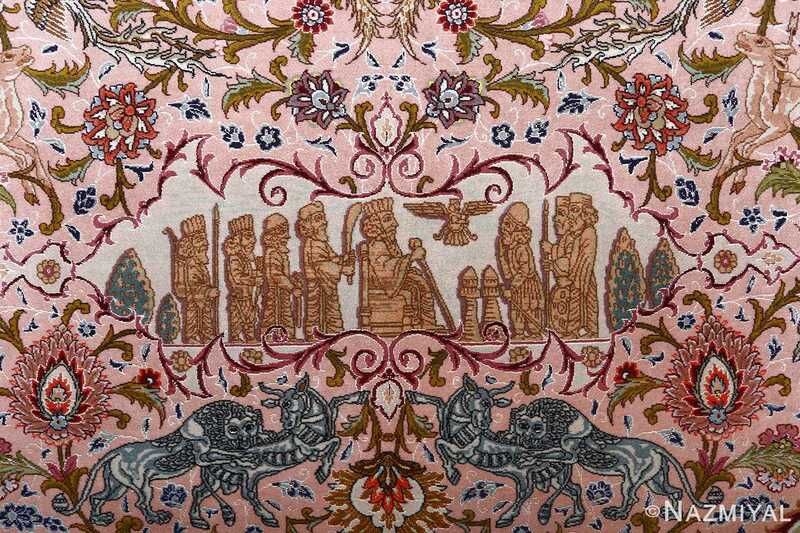 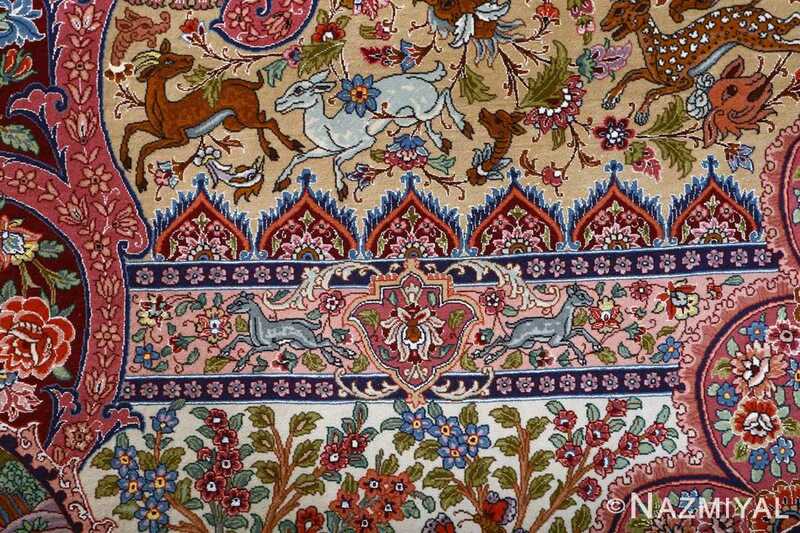 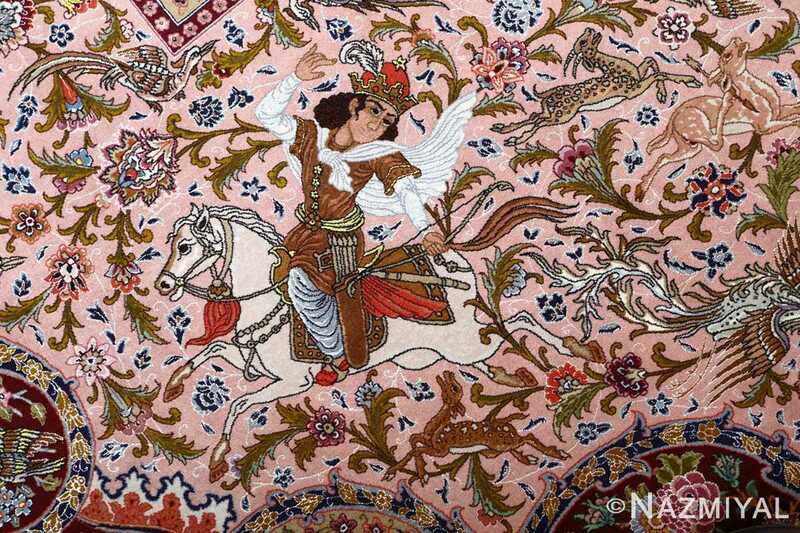 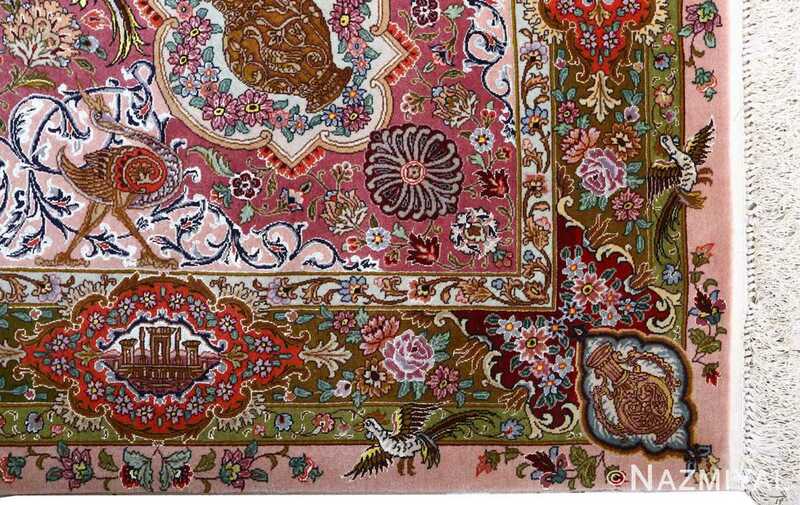 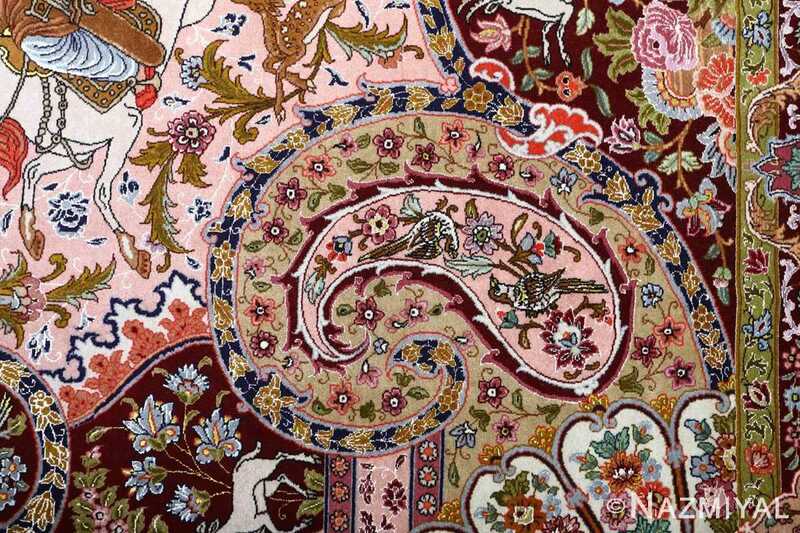 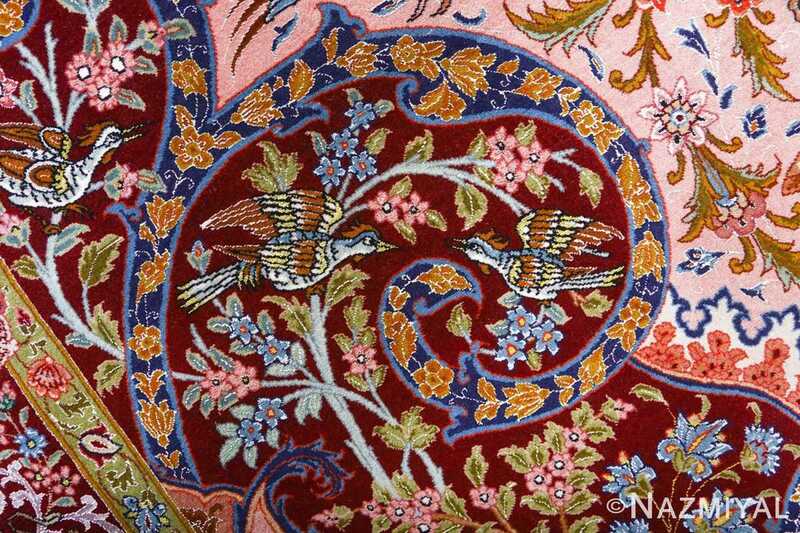 Intricate and Oversized Hunting Scene Vintage Tabriz Persian Rug 51117, Knots Per Square Inch KPSI: 600, Country of Origin / Rug Type: Vintage Persian Rug, Circa Date: Late 20th Century – Like so many brilliant Persian rugs, this large oversized vintage Persian Tabriz rug houses a multitude of details and forms. 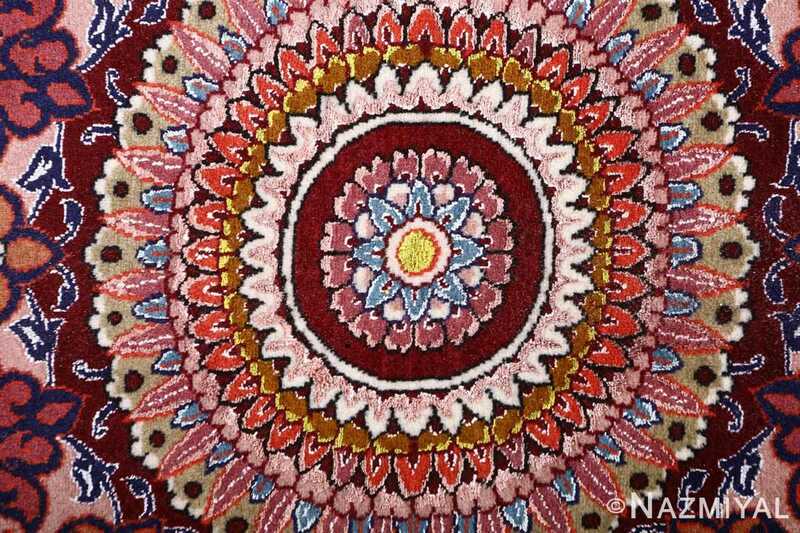 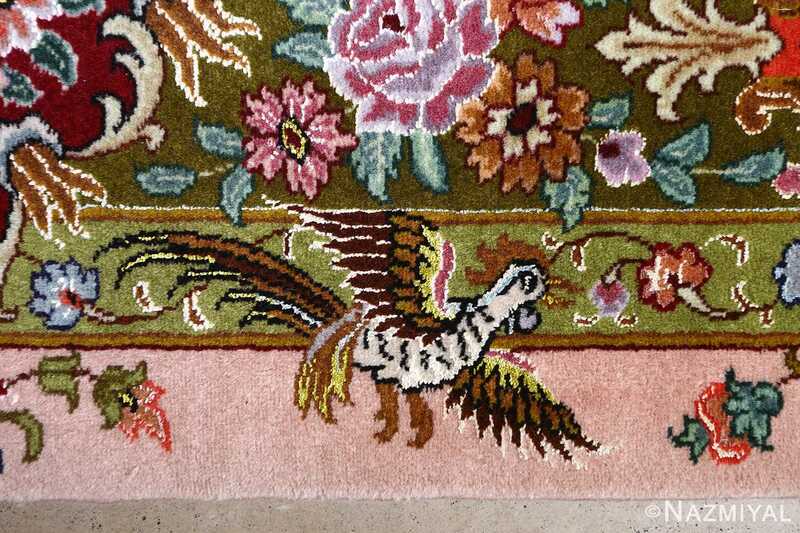 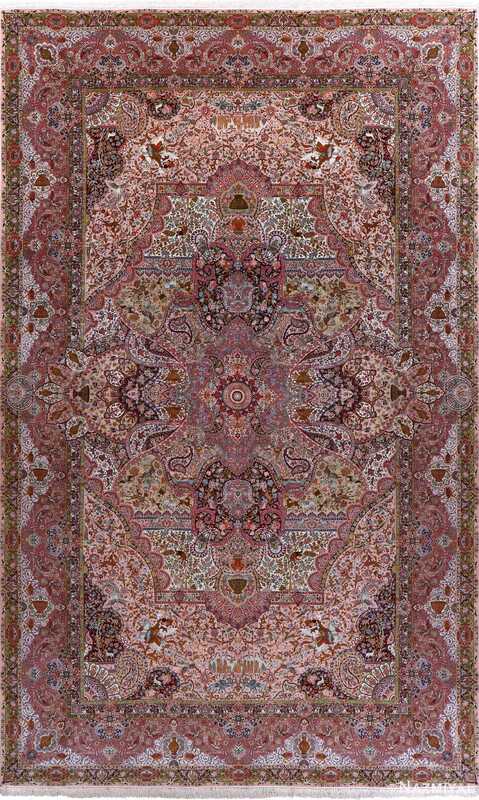 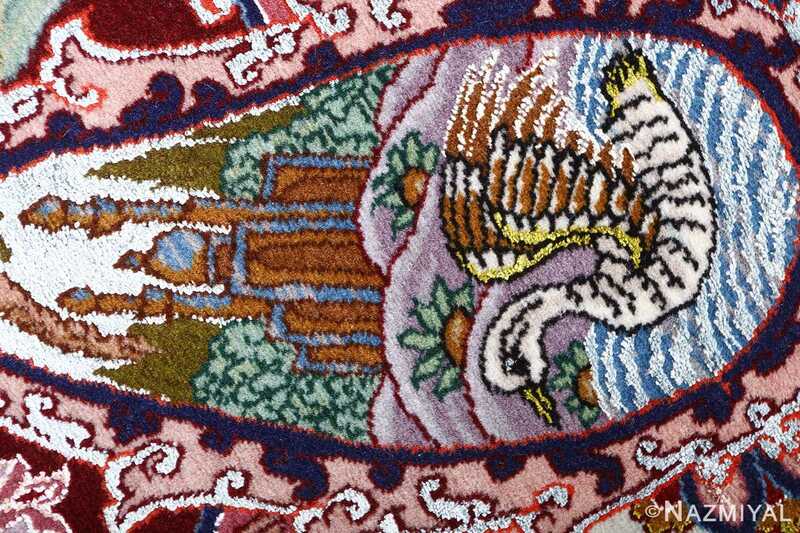 The weaver is able to skillfully separate and unify countless elements within the extra large oversized rug through the use of very fine outlining and form differentiation. This effect results in an extremely graceful composition, creating an air of dreamy whimsy that helps define the landscape as a whole. 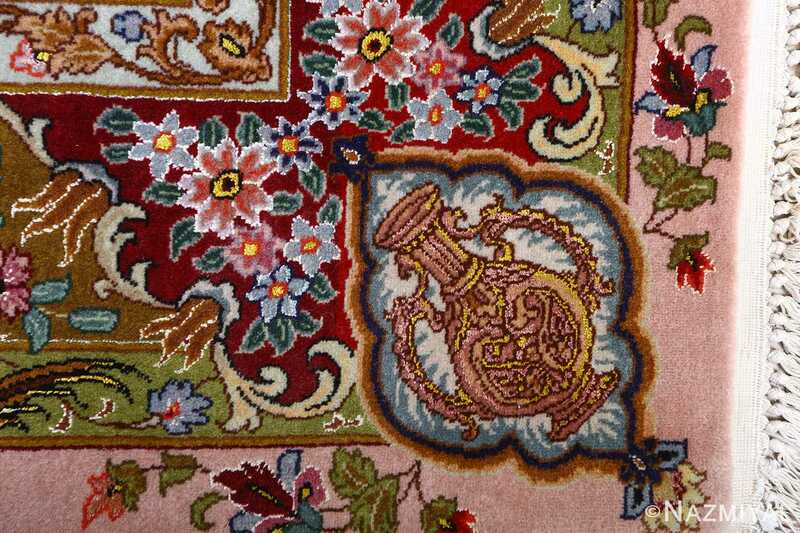 The use of warm and earthy tones is also beautiful in its deliberate arrangement, providing individuals with simultaneously grounding and inviting elements that encourage them to browse along the fine details. 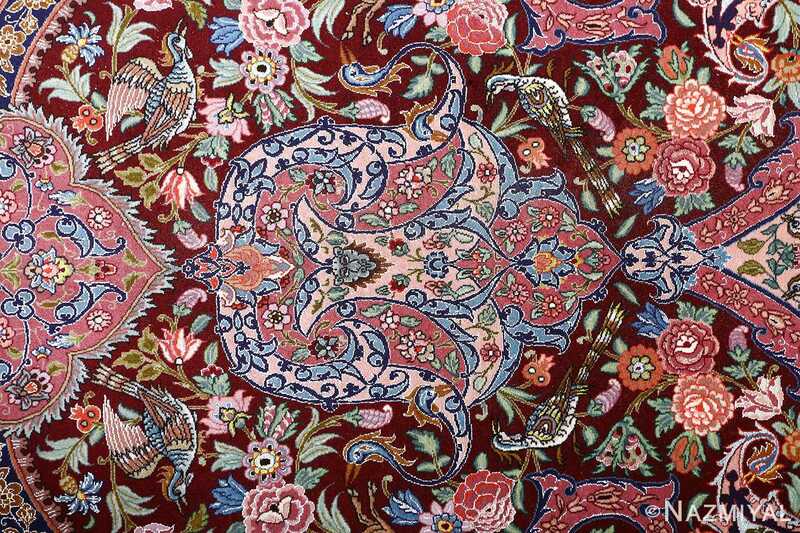 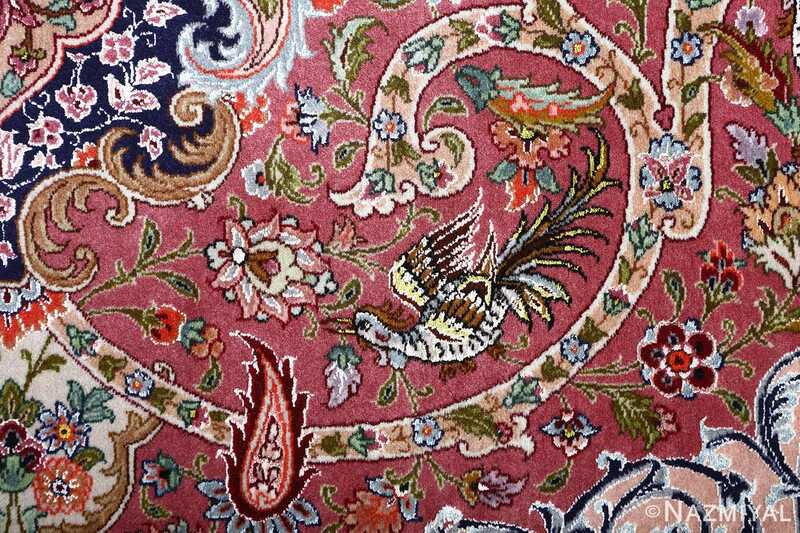 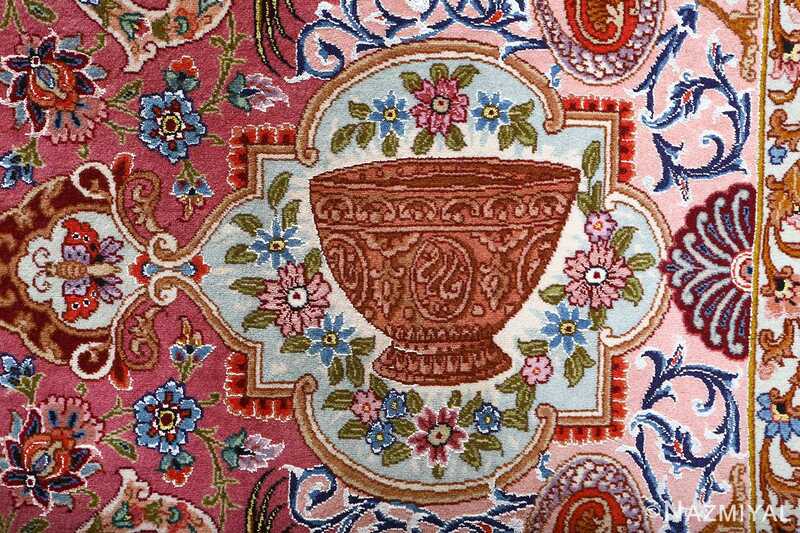 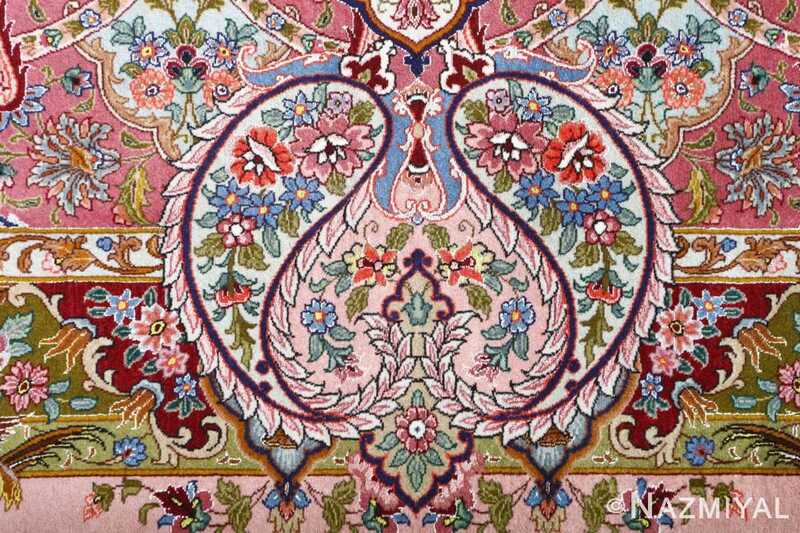 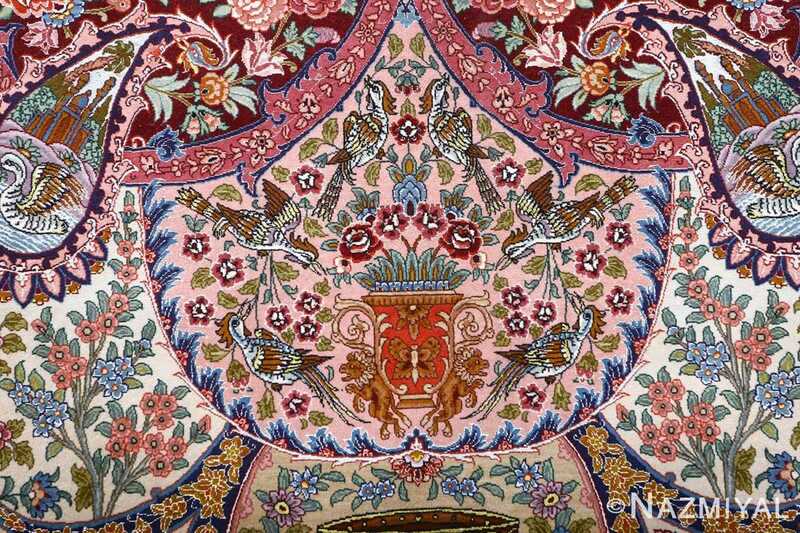 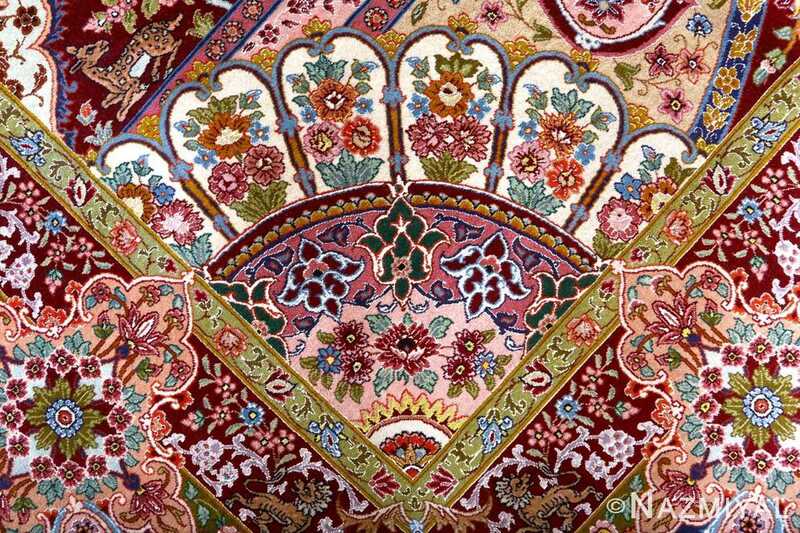 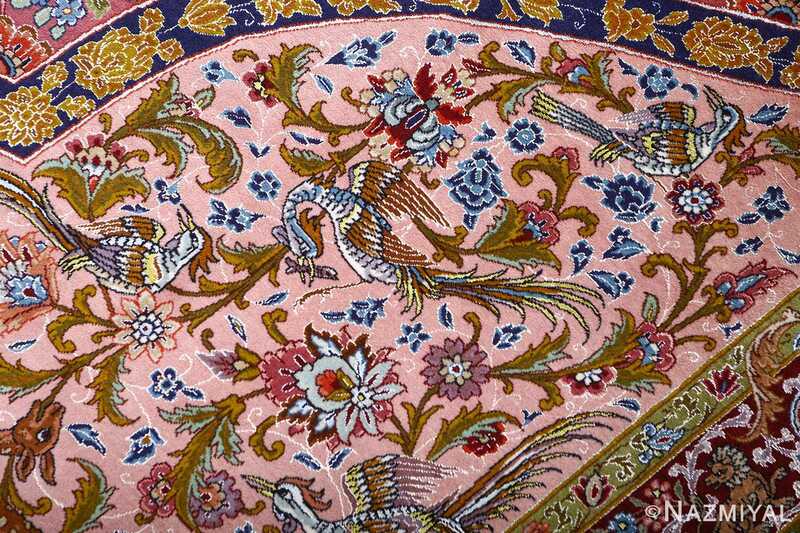 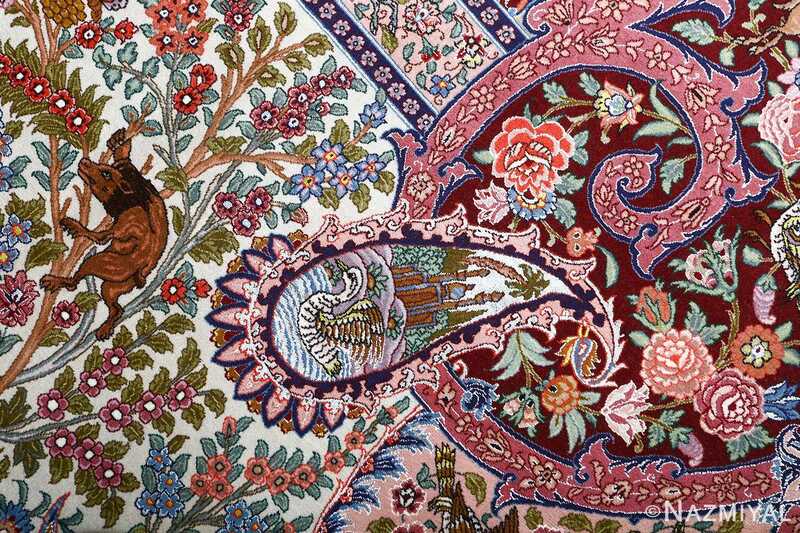 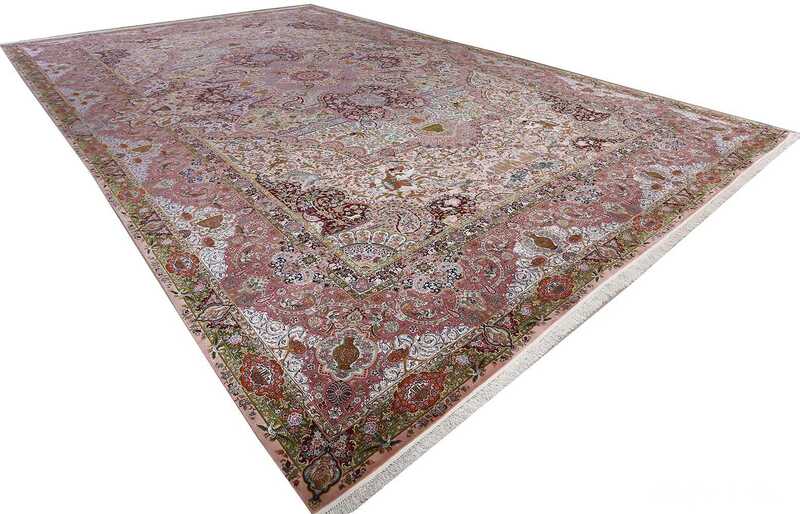 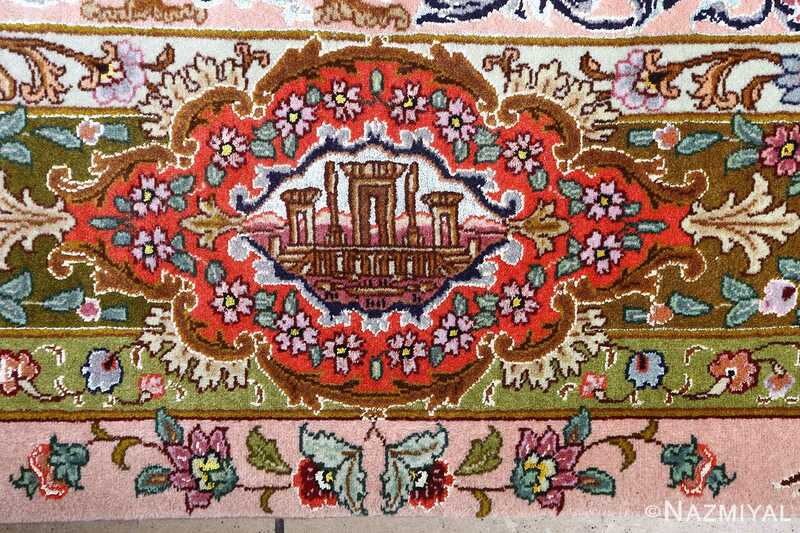 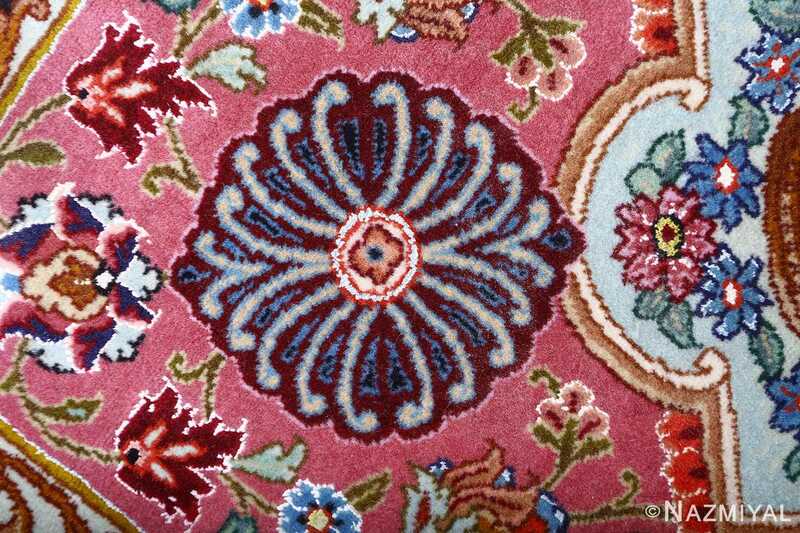 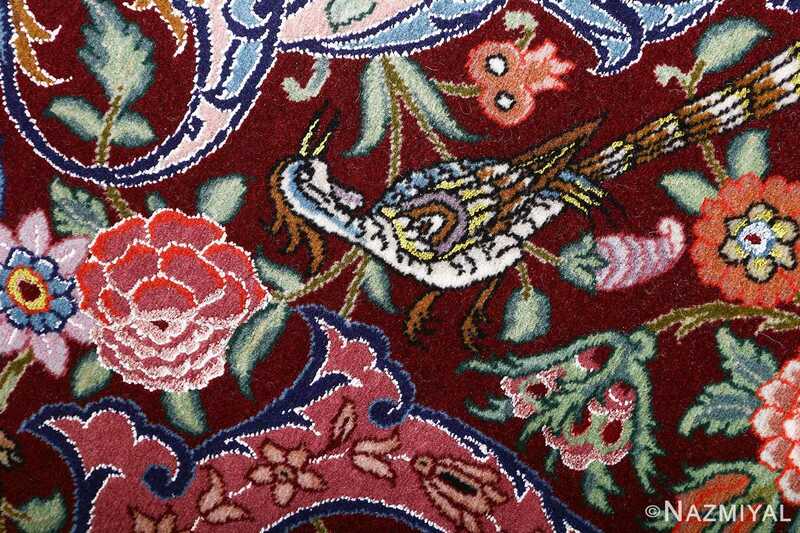 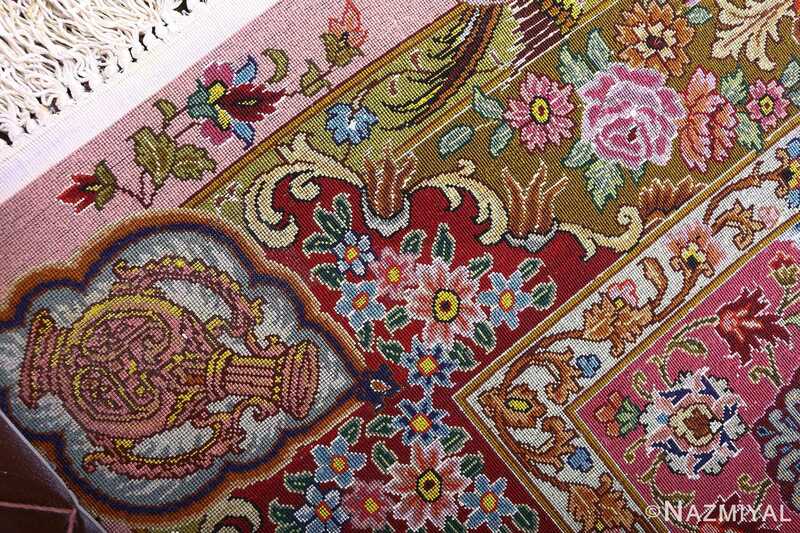 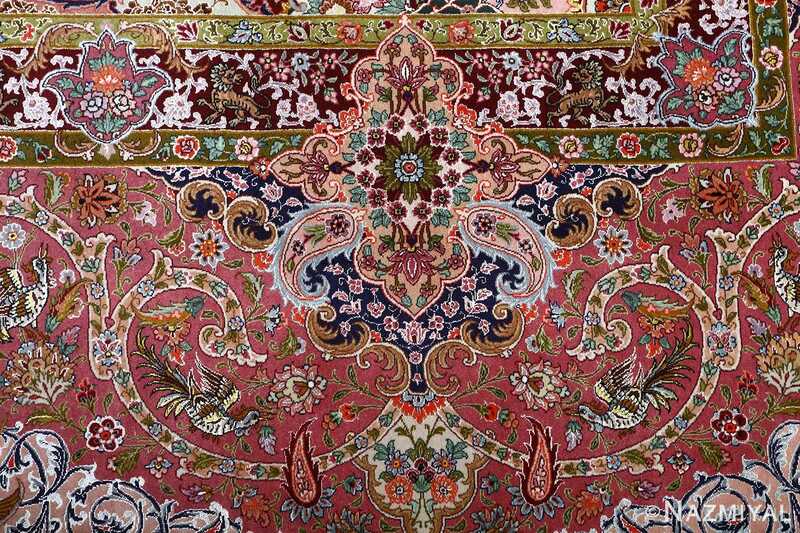 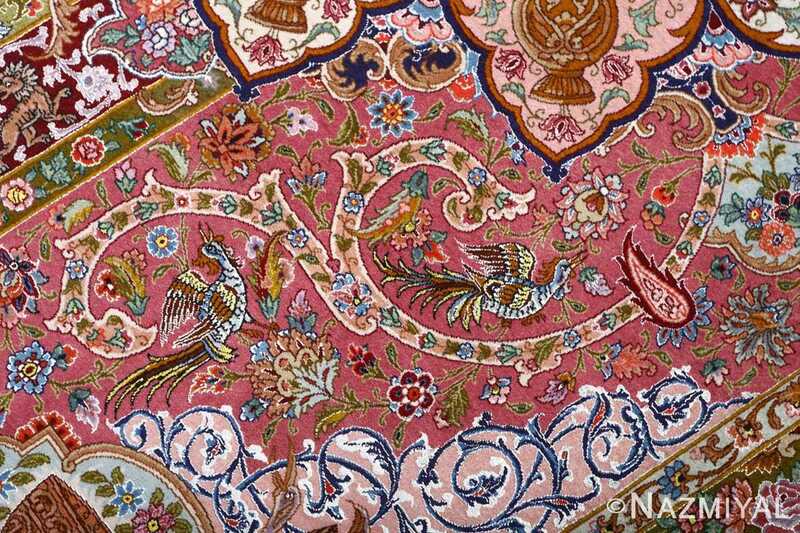 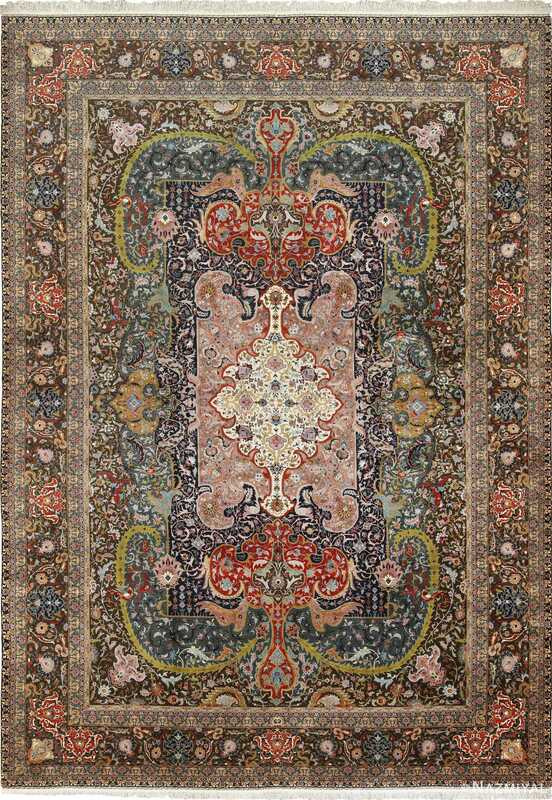 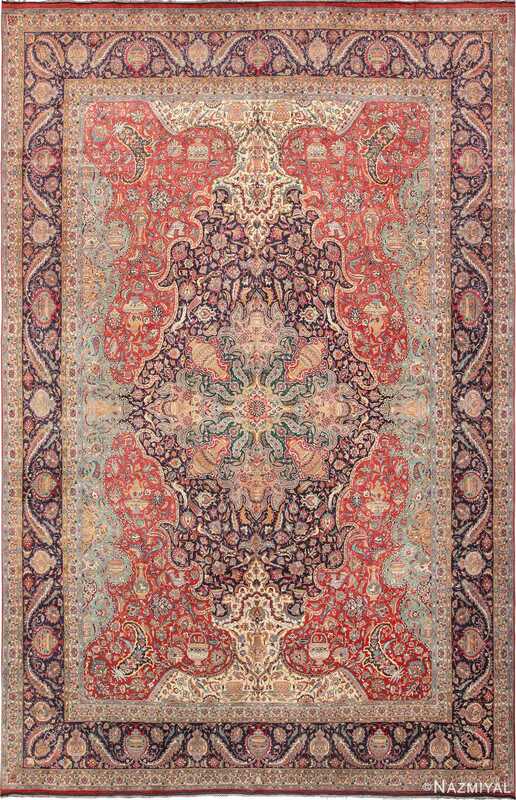 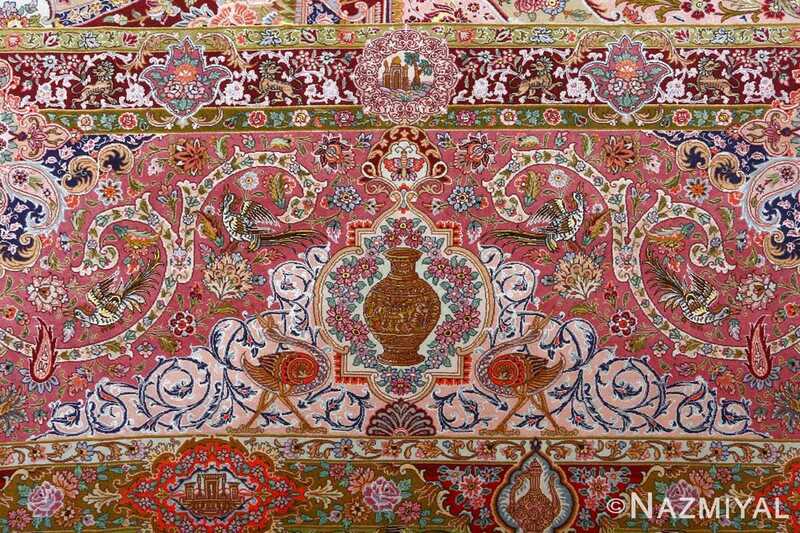 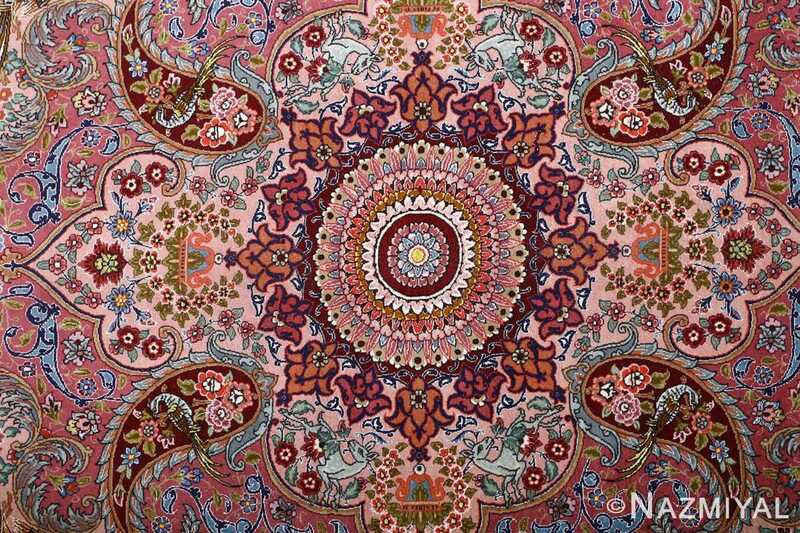 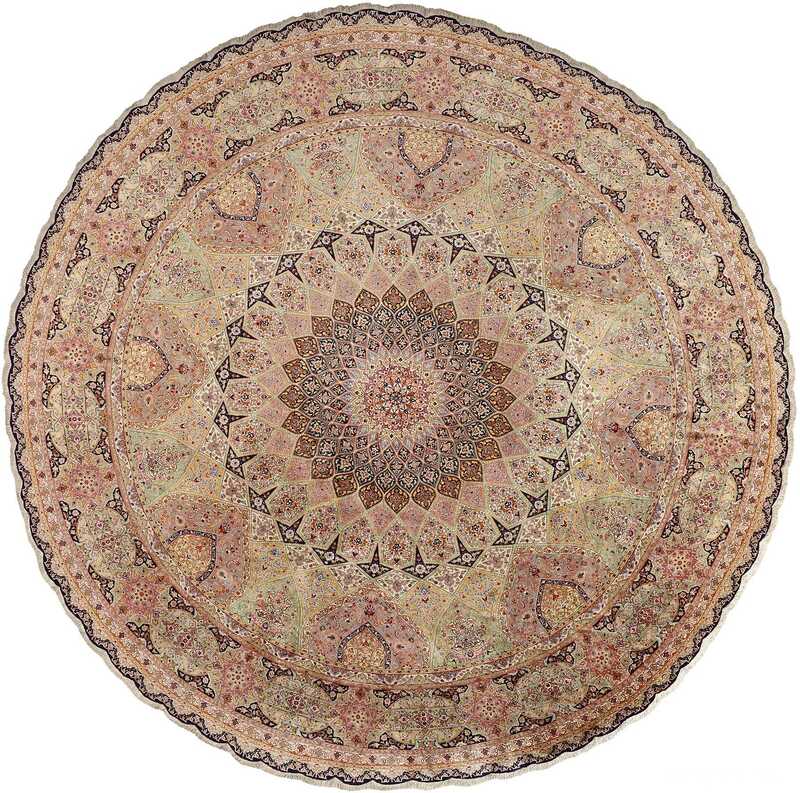 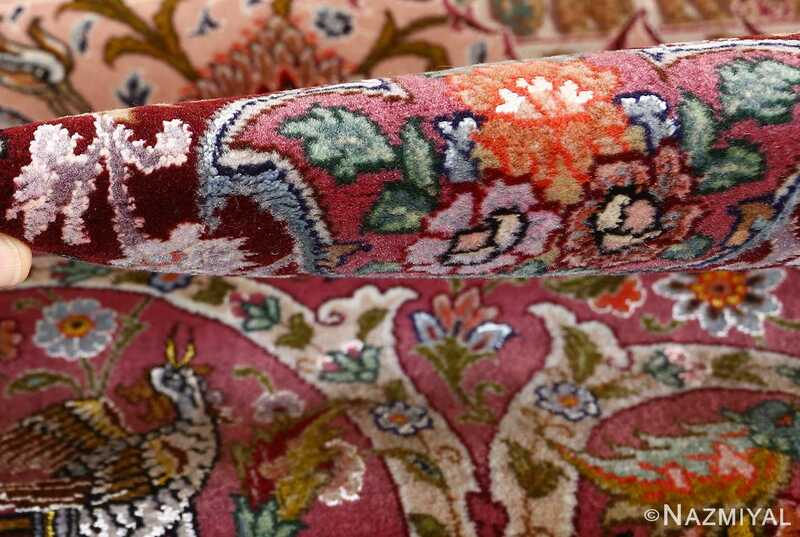 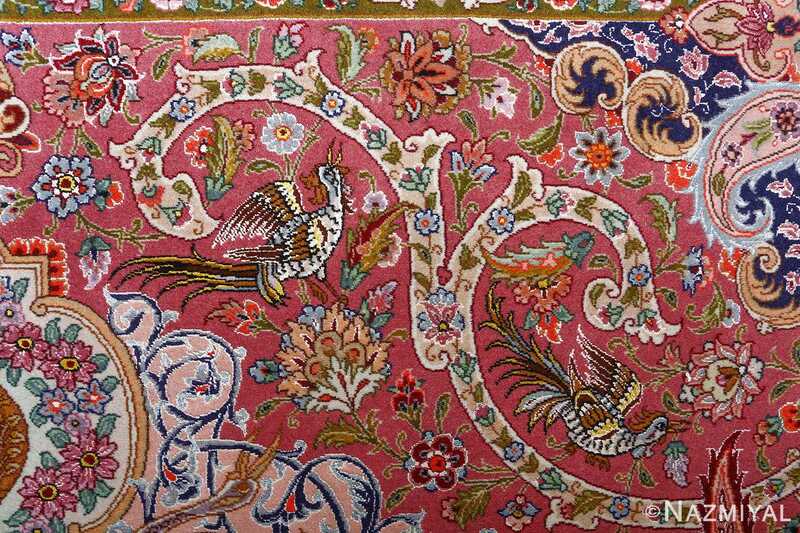 At the heart of the fine vintage Persian rug, the motifs slowly begin to grow larger, standing out amidst the finer details.